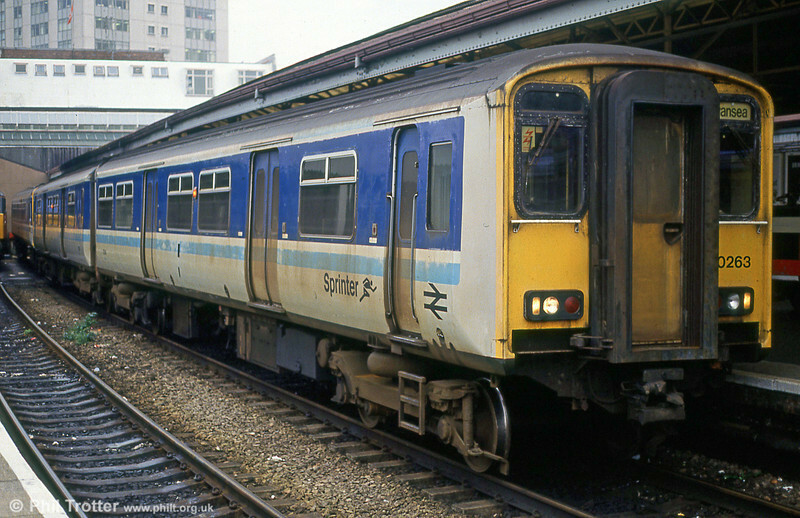 150263 in original livery, showing the 'Sprinter' logo which became a generic name for the new generation of dmus. Swansea, late 1980s. 150263's claim to fame is that in 1988 it appeared at a rail exhibition in Hamburg.